WILL ARTIFICIAL INTELLIGENCE REALLY WIPE OUT 23.7% OF WARRINGTON’S JOBS? A report* just out by the respected Centre for Cities think tank predicts that almost a quarter of Warrington’s jobs will be made redundant by the growth in artificial intelligence (AI). The head of the town’s investment agency has acknowledged the report’s findings as ‘helpful’ but says that the town’s strengths in the technology, nuclear and manufacturing sectors should ‘more than balance out’ what jobs may be lost. “The report makes for interesting reading and there’s some helpful analysis in there that tells us that our strategy of developing a cluster of technology businesses specifically targeting the engineering and nuclear sectors is the right one. In essence, we can have our cake and eat it,” says Steve Park, the CEO of Warrington & Co. He says that by developing tech businesses that can help local manufacturers become more efficient and competitive, the town can develop a workforce that can then export its skills worldwide. And, says Mr Park, investments like The Base in Dallam Lane and its neighbouring University Technical College, are helping ‘future proof’ the town’s economy. One of those businesses is Avanite, which has developed a unique software system that helps tidy up workplace computers, removing the cookies that clog-up expensive hard drive space and slow down computer processing, damaging productivity. The company now has thousands of users worldwide and is busy recruiting ‘re-sellers’ to take the product in to new global markets. 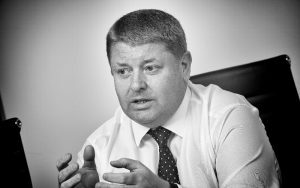 And, whilst there may be a lag in the supply of skilled youngsters coming on to the market, employers are investing heavily in training and development to plug the gap, says Steve Park. “Technological change is so rapid that it’s always going to be difficult for the education sector to keep pace, but we’re on the right track and have great partnerships with Warrington’s employers to train our young people to be job-ready. Major employers like Siemens and Unilever are working with the UTC on collaborations that lead the country. We have every reason to be optimistic,” believes Mr Park. “Predicting doom and gloom will always grab the headlines, but here in Warrington we see AI as just another example of why we need to remain on our toes and be flexible and open to change as a workforce and a community,” he concludes.